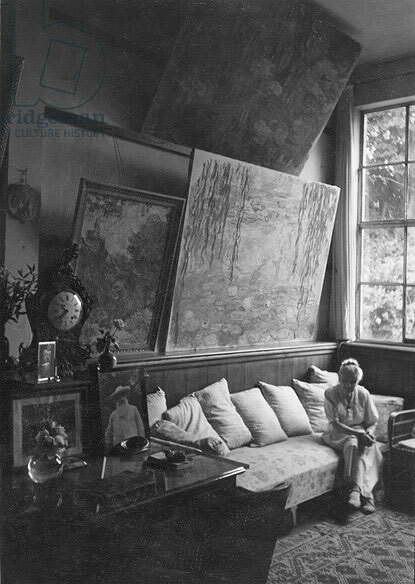 Blanche was immediately fond of Claude Monet. She was eleven when she discovered the art of painting. She obviously spent long hours in the atelier of Claude Monet but also Manet. Claude Monet rented a summer house in Pourville (summer of 1882) and Blanche started to paint next to him. 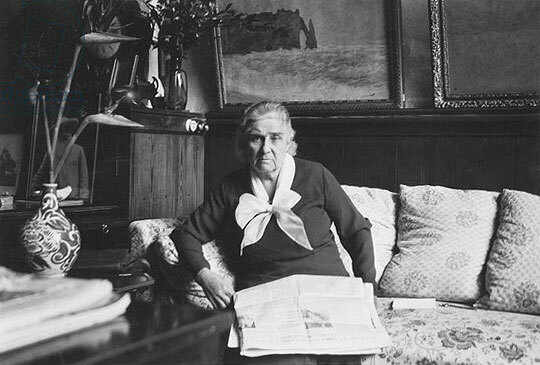 Blanche became Monet's assistant and pupil . She often carried Claude Monet’s easel, canvases on a wheel barrow, and then set her own easel and painted. Her work was done in plein air as she did not have an atelier. The Hoschede Monet family share a lot of their times with the American colony. She also painted alongside with John Leslie Breck and Theodore Earl Butler. John Leslie Breck had a romance with Blanche that was halted by Claude Monet. John Leslie Breck left Giverny in 1892. Theodore Earl Butler married Blanche’s sister Suzanne after Claude Monet’s approval in 1892. Blanche married Claude Monet’s son, Jean, in 1897. They lived in Rouen and Beaumont-le-Roger until 1913. She painted landscape such as meadows along the Risle’s river but also Poplars and Pines. 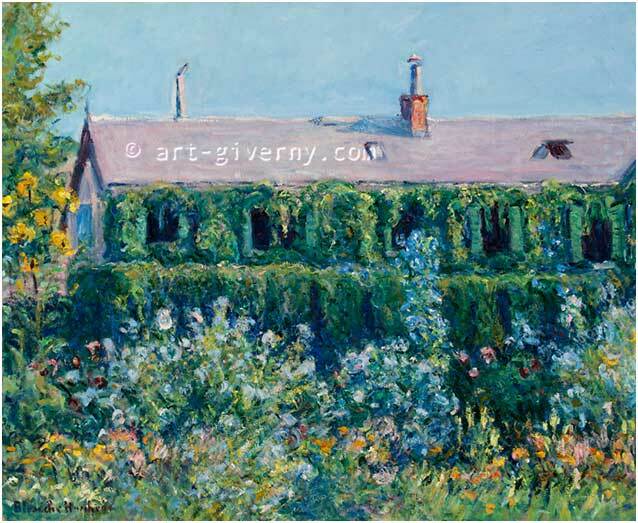 Upon her husband death in 1914, she moved back to Giverny with Claude Monet. 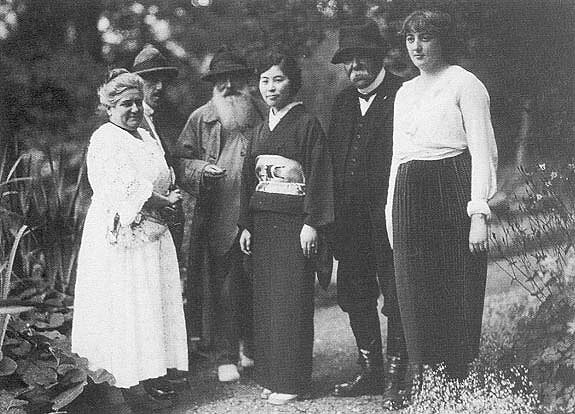 She went to Clemenceau’s House in the southern part of France in Saint- Vincent du Jar with Claude Monet for one week in October of 1921. She went back in 1927, 1928 and 1929 and did some paintings of the House, Garden and the sea. 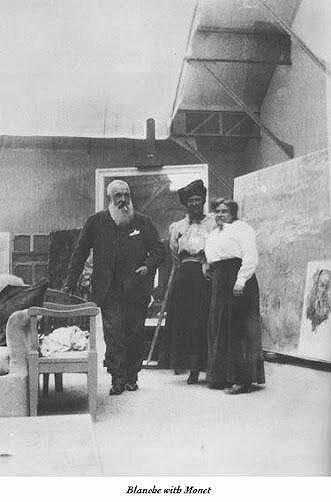 She was called by the French Prime Minister George Clemenceau, "The Blue Angel", as she spent her time taking care of Claude Monet during his crucial times. Blanche gave up painting until after Claude Monet’s death. Most of her works were done in Giverny and around Rouen. She painted in Giverny from 1883 to 1897 and then from 1926 to 1947. She eventually decided to have a solo show at Bernheim Jeune, in 1931. She adopted an almost pure form of impressionism. She painted for her own pleasure. At times it was difficult to distinguish her work from Monet’s especially during her first period in Giverny. The palette, brushes, paint and canvases came from Claude Monet. She then painted Claude Monet’s garden, and its surroundings. Salon de la Société des Artistes Rouennais en : 1907, 1908, 1909, 1910, 1911, 1913, 1931, 1932, 1933.1934.1935.